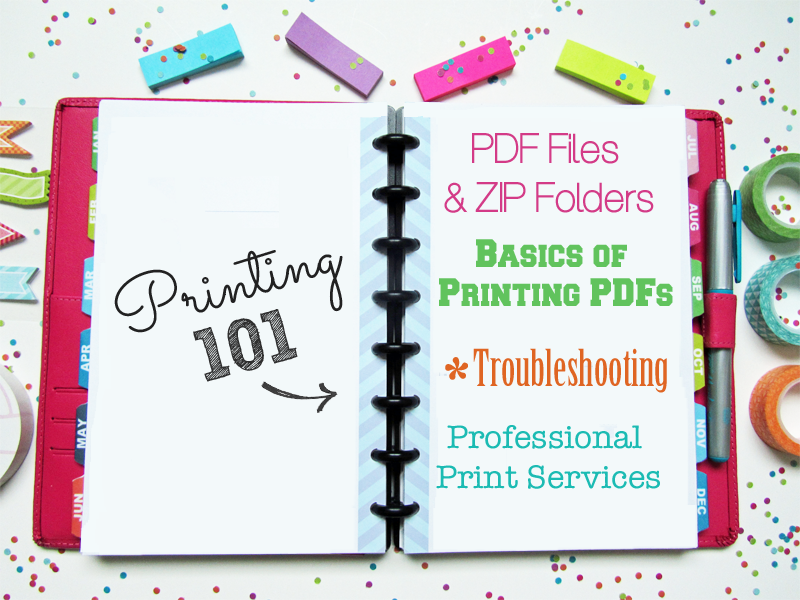 Here's a quick guide to PDF files, basic printing, print settings, paper choice and troubleshooting! Read on for more information and some helpful hints. Have a question? Start here! First, let's talk about the file you're going to be printing. 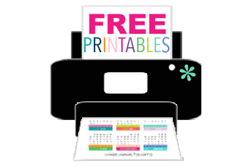 My printables are saved as PDFs or portable document format files. You will need a PDF reader to open these files, but they should open on any device. You can download a free PDF Reader from Adobe.com. These PDF files are often contained in a ZIP folder due to the large size of some of the planners and packages. Again, ZIP folders should open on any device, but iPad customers have had trouble with them in the past. Printing your files at home should be as easy as opening the PDF files and pressing print. There are a few specifics you may want to check with your print settings before you print. I usually print my pages on a normal setting at the very least. Selecting economy or draft will result in lighter ink usage and some pages may not be visible under these settings. Higher quality print settings such as fine or photo are not necessary, but if you prefer a brighter, higher quality print you may use these settings. **Please note, I always print pages before listing them. If your pages are printing too light you may need to adjust your print settings to a finer setting. I also have to switch my paper setting to Photo or Premium Paper. Once I've done that I can select borderless printing. You'll also want to select minimum expansion if it gives you that option. Expansion means they stretch the page so you'll want as little as possible. 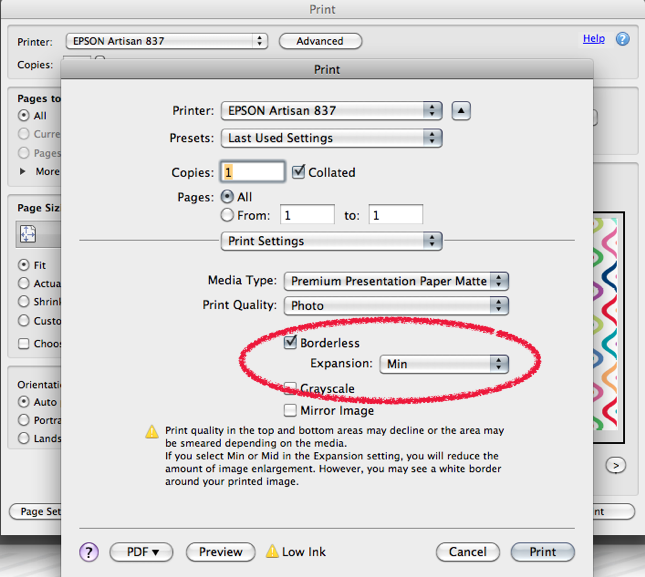 Every printer is different so you may need to refer to your printer manual to find the correct setting for borderless printing. It's completely up to you what kind of paper you use! Files are formatted to print on letter size paper (8.5"x11"), but the quality of paper is up to you. You can print on anything from standard 20 lb. print/copy paper to card stock. I prefer to print on 28 lb., bright white paper. It's heavy and durable. If you want to print 2-sided and prevent bleed through I would suggest using 32 lb. paper. 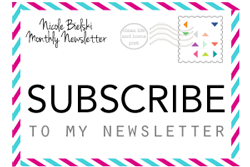 My printables are formatted for letter size paper 8.5" x 11. 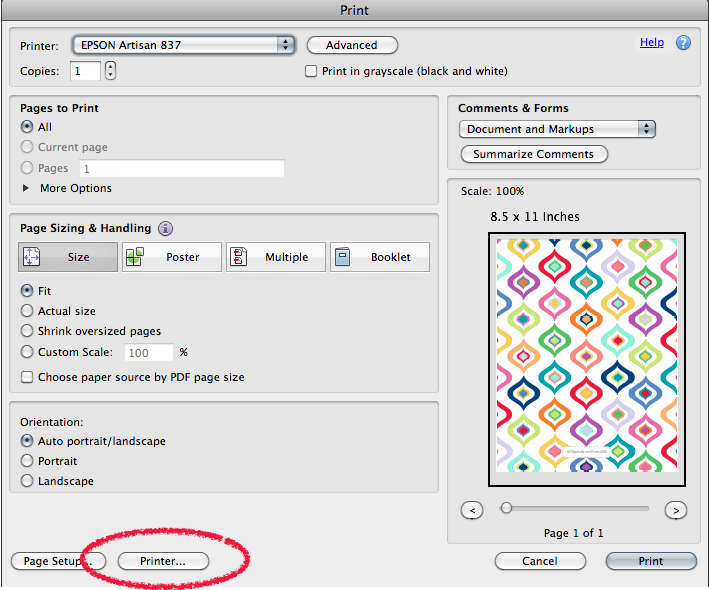 If you prefer to resize the printable or print on another size paper please take a look at this post! If you've printed pages and you're not happy with the result there are a few things you can do. If you have some bizarre issue with your pages the problem is likely a bad download. Sometimes the Instant Downloads through Etsy download improperly. I've contacted Etsy, but it appears that given the large amount of Instant Downloads every day some will download poorly no matter what. If this happens you can simply delete the files and download them again. If you're still having trouble just send me an Etsy convo and I will email new files to you. This corrects the problem 100% of the time. Many of my pages are designed with gray text and lines for a more subtle look and ink savings. I print each page before listing to make sure everything is visible. If you feel the page is too light you may need to adjust your print settings. Use a fine or photo setting and see if the page prints a little darker. 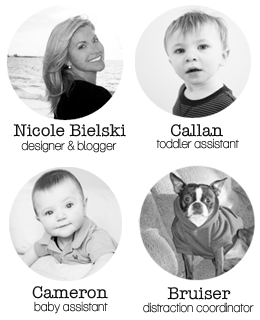 Unfortunately, I cannot redesign pages for the small number of individuals who feel their pages are too light. 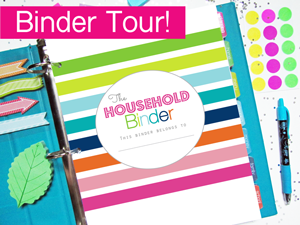 If you don't have a printer at home you may be considering having your planner printed professionally. Please be sure to get a price quote before purchasing any files. Color printing can be very expensive! Printing 100 pages in black and white may only cost you a few dollars. Printing 100 pages in color may cost you up to $100. I have personally gotten quotes from many of the large chain print shops for Daily Planners (almost 200 pages color) and every quote has been $100+. My advice would be to try smaller print shops in your area and talk to them in person or give them a call. Most people will understand that you can't afford to pay $100 to print a simple personal planner. You may be able to get a more reasonable price this way. Also consider that, in most cases, you can buy an inexpensive printer for much less than professional printing services. * Each printer is different. I cannot help you troubleshoot your individual printer settings and issues. * You should not see marks, blurs, symbols or other weird stuff on your pages. That is a download error and can be corrected by downloading the files again. Please contact me if this doesn't correct the problem! * You can print without a border, but you will need to adjust your print settings. Check your Printer Manual for specifics. * Color and print quality may vary by printer/ink. * Print shops can be expensive! Get a quote first! Still have a question? 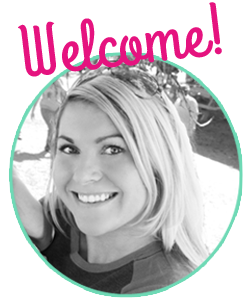 Visit my FAQ page!